One challenge that students face is failing to understand exactly what implications taking out a student loan will have on their future financial lives. It's easy to grasp that you need to borrow a certain amount of money to pay your tuition and other college costs, but many have trouble taking that number and figuring out exactly what it means in terms of monthly payments to their lender after they graduate. Below, you'll find a simple guide that offers a closer look at how student loans are calculated. You can calculate an amortization schedule manually, but it's much easier to use a calculator to do so. This loan calculator can give you your monthly payment, along with a schedule that lists how much interest you'll pay each month throughout the course of the loan. We'll look at each of those cases in more detail below. Some student loans, especially federal student loans, offer borrowers the chance to temporarily stop making payments under certain circumstances. For instance, it's common for loans not to require payments while you're still in school. However, the way these loans treat interest differs from loan to loan. Some loans force the lender to absorb the interest that would otherwise accrue during these deferment periods, while other loans pass that cost on to you by boosting the principal amount of your loan once you leave deferment. If the latter happens, you'll typically get a recalculated repayment amount when your deferment ends that's based on the higher principal balance. 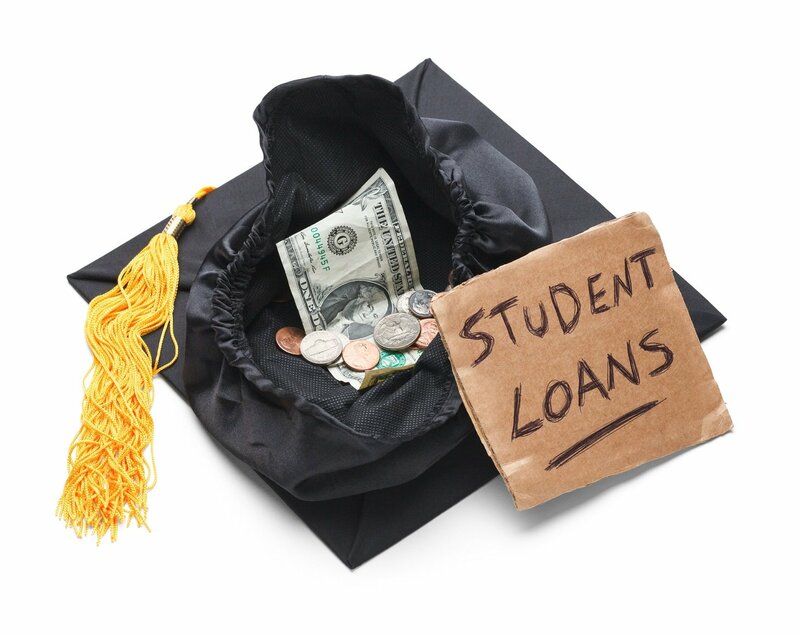 Lenders typically calculate a variable-rate student loan based on the initial interest rate. If rates change, then the payment will adjust accordingly. That introduces more uncertainty into monthly payments, but it also means the amount of time it'll take to repay the loan generally stays the same. The way monthly payments are calculated varies depending on the type of loan. Some look at total family income, including what your spouse earns if you're married, while others only look at the borrower's individual income. In addition, some loans never have a monthly payment that's higher than what a normal amortization schedule for a 10-year loan would require, while others require you to make larger monthly payments if your earnings rise substantially. Further, the fact that these loans typically forgive any remaining balance at the end of a certain period also adds complexity. Forgiveness often happens at 20 years for undergraduate loans and 25 years for graduate loans, but you'll sometimes find different provisions. Finally, it's important to understand that student loan calculations only apply to the initial loan that you take out. If you decide to take advantage of provisions that allow you to consolidate your student loan debt, then everything essentially starts over, and the calculation of your consolidation loan will involve the total of whatever outstanding student loan debt you consolidate and the terms of the consolidation itself. The usual process that lenders follow with consolidation loans is to gather up all of your outstanding loans and repay them, combining the balance into a single loan. You then get to make one monthly payment each month, and because lenders often offer longer terms on consolidation loans, the monthly payments can be lower. However, because you're repaying the consolidation loan over a longer time period, the net result is usually a big increase in the amount of interest you pay over the lifetime of the loan. In addition, consolidations loans usually wipe out any favorable provisions of the underlying loans that you consolidate, so you might lose the opportunity for loan forgiveness, deferment, or other benefits when you consolidate. Calculating a student loan can seem complicated, but behind all the numbers, the important thing to remember is that payments are based on the amount you borrow, the time you have to repay it, and the interest rate on the loan. Managing your student loans well means minimizing costs while taking advantage of features that some loans offer. If you do that, you'll be well on your way to getting your loans taken care of as quickly as possible.